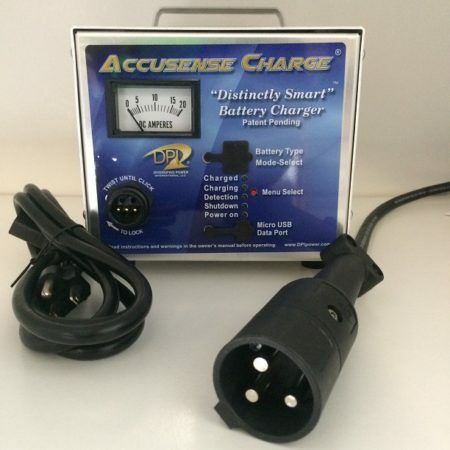 This 48 volt 17 Amp Club Car Golf Charger is the perfect smart charger for your golf cart. 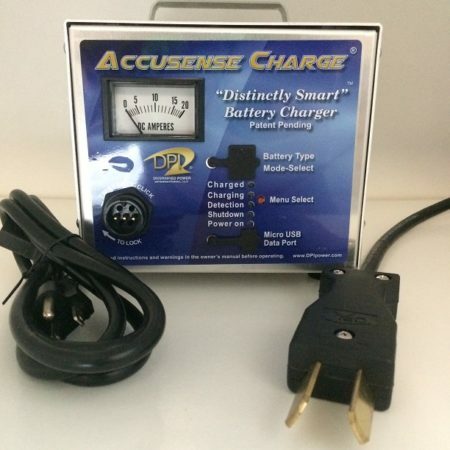 Diversified Power Internationals ALL NEW 4th generation 48 volt Accusense Intelligent Golf Cart Battery Charger is perfect for your golf cart batteries. 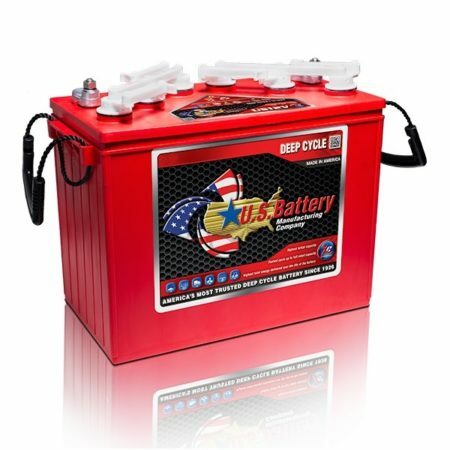 Designed to be used on any 48 volt golf cart battery system. Whether you own a Club Car, Ezgo, Star car or Yamaha Golf Cart. Choose the connector you will need from the images herein and the drop down menu at checkout. 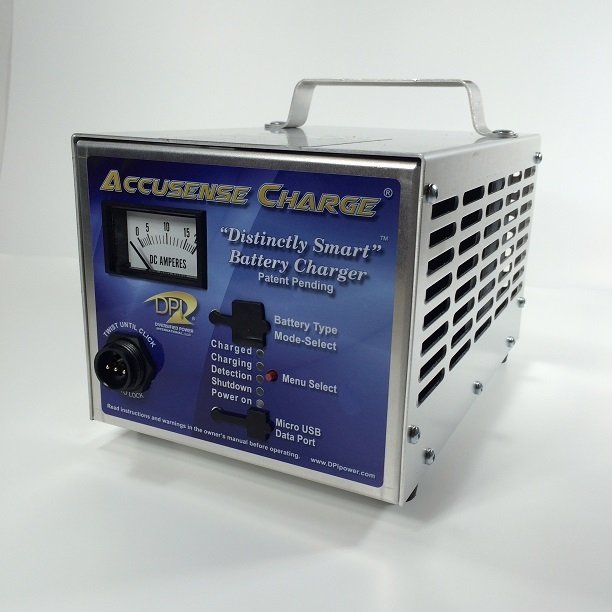 DPI’s 48V/17A Gen IV Accusense Charge® Intelligent Battery Charger is powered by a smart, microprocessor-controlled, multi-stage charge algorithm for various battery types used in golf carts and other electric or industrial vehicle applications. 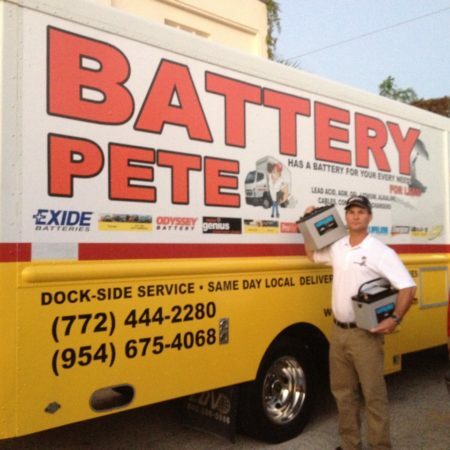 Patented selector and downloadable custom algorithms allow user’s to charge most every battery type. Diversified Power International has been manufacturing battery chargers of all shapes and sizes right here in the good ole” US of A for decades. This Heavy Duty 48 volt golf cart battery charger has a weatherized construction that is durable and ensures reliability. Studies have shown this type of charger outperforms other battery chargers that claim to be rated at up to 25 amps and outperform tapered-type chargers rated at 35A! Be the first to review “DPI 48 Volt Golf Cart Battery Charger 17 Amp – All Golf Carts” Click here to cancel reply.